Sometimes I just feel like having some good old-fashioned pasta salad. I mean, there's nothing quite like a chilled bowl of pasta (dressed up with a few accouterments, of course) to help get you through that midday slump. Unfortunately, however, it seems as though most pasta salads are heavy on the mayo and light on the flavor. Yea - not exactly my bag. 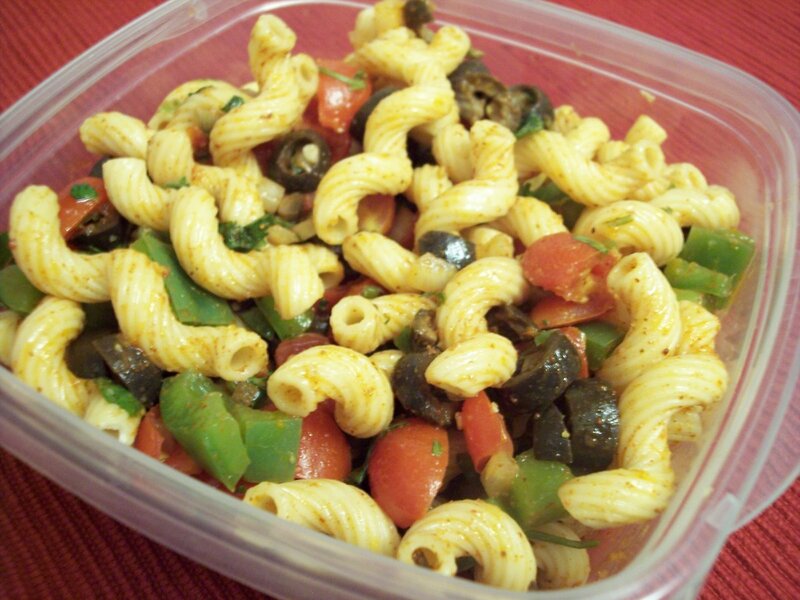 Thus, enter "Salsa Pasta Salad," which is both flavorful and non-mayonnaised (vegan or otherwise). And although this salad isn't quite perfect yet, I appreciate being able to throw it into a plastic container for lunch in about 30 seconds flat. The recipe can be found here, but please make sure to use olive oil in place of the vegetable oil - it tastes better, and it's so much better for you!